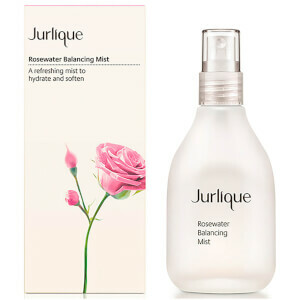 A replenishing mist that hydrates and soothes, leaving your skin balanced and refreshed. Provides long-lasting hydration with Marshmallow Extract. Calms the skin and counteracts dryness with Lavender Essential Oil. Close eyes and gently mist the face after cleansing or throughout the day. Aqua (Water); Alcohol; PEG-7 Glyceryl Cocoate; Glycerin; Althaea officinalis (Marshmallow) Root Extract; Fragrance (Parfum)*; Sodium Hydroxymethylglycinate; Lactic Acid; Citrus grandis (Grapefruit) Seed Extract; Linalool*; Limonene*. * From Natural Essential Oil (Lavender - Lavandula angustifolia). I feel that the smell is beautiful and relaxing. I am concerned that it contains alcohol since this would actually be drying rather than hydrating. I wish the pump was more of a mist than a squirt in the face. Much better than some mists i have tried which are sticky... but not the best. Overall i would use it again because it is hydrating and smells nice.